Elmo Motion Control (Elmo) designs, produces and implements comprehensive, field-proven motion control solutions that help the clients to discover their machine's potential. The company’s R&D department combines intelligent motion control technologies, real-time programming and control algorithms with advanced digital hardware to enable leaner, more flexible machines. Controlled by the Elmo application studio (EAS)—a software environment that cuts integration time and maintenance costs—Elmo’s servo drives and multi-axes motion controllers minimize a machine’s footprint and cabling, improve throughput, and give original equipment manufacturers (OEMs) a competitive edge. Founded in 1988, the company is headquartered in Israel, employs more than 350 staff worldwide, and has a dedicated presence in the United States, China, Germany, Italy, Switzerland, Korea, Poland and the United Kingdom. It is important that Elmo Motion Control exhibits at Automate as we play a key role in smart motion control technology by enabling the unprecedented digital transformation in the smart industrial revolution – Industry 4.0. Mounted at the heart of machines, intelligent, compact and decentralized servo drives act as advanced telemetry devices that can sense, monitor, and react accordingly. This smart servo technology not only leads to the very results promoted by Smart Industry, but also helps create leaner machinery that is smarter, smaller, lighter, faster, safer, greener, more efficient and also cost effective. One of the important reasons for visiting an exhibition of this magnitude is the ability, in a short time, to be able to determine the direction of an industry and the advances that there are in it. When talking about AUTOMATE in general and specifically Elmo's booth, a visitor can clearly see the direction of the robotics and automation industry in one place. Elmo has consistently lead the motion control industry in power, efficiency, and size of their drives and this year this trend is even further intensified with the addition of the new products that Elmo is presenting. 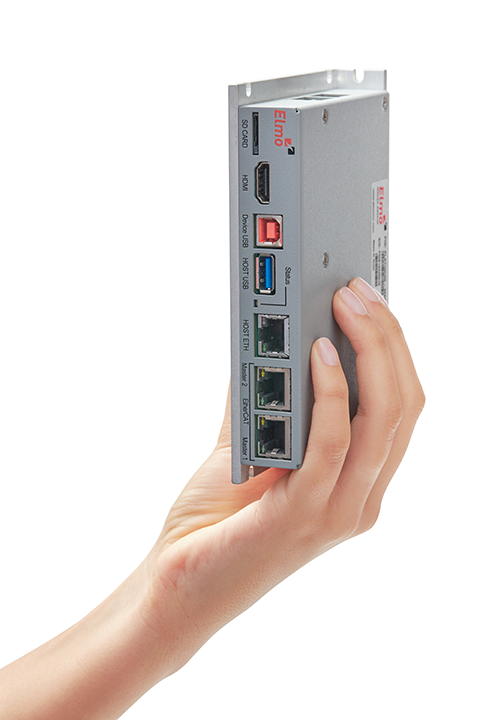 With the new 4 In 1 servo drive that presents a complete motion control solution in the palm of your hand (We are unveiling it in this exhibition). The Platinum Maestro with complete smart safety certification, or the twice as powerful Double Gold Twitter able to provide 10K Watts of qualitative power in a drive that is smaller than a postage stamp a visitor is able to witness firsthand the future of motion control in one simple visit to the Elmo booth. On Thursday, April 11, 2019 @ 10:00AM to 11:00AM, Geoff Thompson, Regional Sales Manager at Elmo Motion Control, will be presenting our 4-Axis Miniature Motion-Control System. 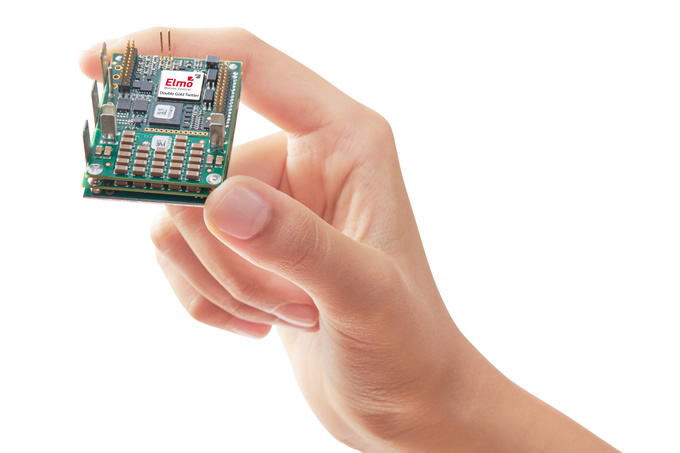 Advanced technology combined with creative design resulted in a highly integrated, miniature, and powerful complete motion-control module that fits in the palm of your hand. The revolutionary module is challenging common system design practices by combining the simplicity and high power of centralized control with size and flexibility of decentralized servo architecture. 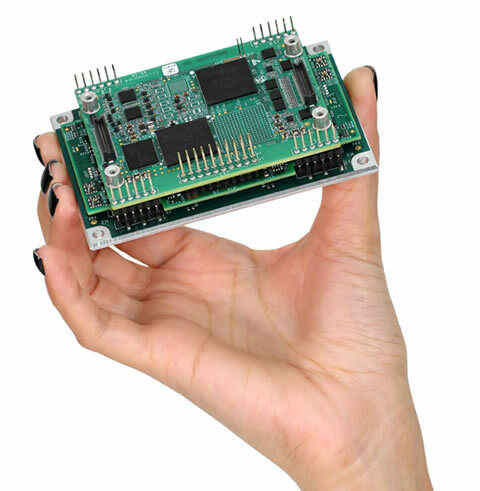 The module can precisely coordinate the complex multi-axis motion of systems and robotics, with integrated 4x5kW high power miniature servo drives. The multi-axis, high-power, safety integrated solution is operated by simple programming, and can simplify system design, cut costs, create space-saving, and reduce time-to-market. Most of the sessions we are interested in are in the area of automation, efficiency, and smart manufacturing. Technological advances in automation and robotics have given factories the ability to increase throughput while reducing costs and size of the machines. With 30 years of experience in the innovation areas of the motion control industry, Elmo is consistently pushing the boundaries of what is possible in a servo drive. By demonstrating that efficiency of a drive can provide innumerable benefits to any machine Elmo has enabled companies to reduce time to market, size of the machines and in the same process make the factory safer than ever. Elmo's motion control solutions help improve the outcome of any project. The manufacturing technology is doing away with the cages that surround assembly machines yet at the same time maintaining or increasing the safety of their operation. We are seeing collaborative robot, unmanned and autonomous robot driving around freely in a factory, and flexible manufacturing systems in which complete work station move around the factory. These kind of technologies clearly require safe operation being in the vicinity of humans, and other likewise technologies.